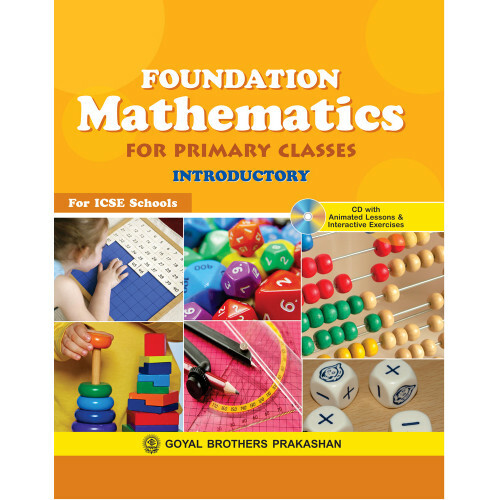 We are pleased to present the revised edition of the series Foundation Mathematics for Primary Classes (Introductory, Books 1 - 5) is an exciting, innovative series based on the latest syllabus prescribed by the Inter-State Board for Anglo-Indian Education and recommended by the Council for the Indian School Certificate Examination. This child-friendly series teaches Mathematics in such an interesting and comprehensive manner that even an average child has no difficulty in grasping the fundamental concepts of Mathematics. The books in this series help in laying a solid foundation which will stand in good stead to the students in future. Each book in this series is supplemented with an interactive and animated CD. A graded and spiralling approach, keeping in mind the age and level of understanding of the student. Eye-catching illustrations and child-friendly layout kindle the imagination of the child and create an interest in the subject. Each chapter begins with the heading Let Us Recall, which refreshes the concepts learnt in the previous class. Questions under the heading Challenge trigger the analytical reasoning of the students. Value Based Questions are meant to inculcate moral values in the children. Review Exercise at the end of each chapter checks the retention capacity and the level of understanding of the students. Assignments under the heading Mental Maths not only enhance the mathematical and calculation skills of the students but also fortify the concepts already learned. Fun with Maths contains out of the way questions which challenge the understanding capacity of the students. Maths Lab Activities are meant to learn mathematical concepts through various activities. Check Your Pace is meant to revise and revisit the concepts learnt in the last three chapters. 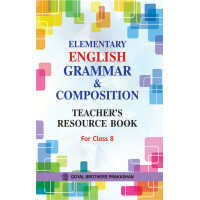 The series is supplemented by Practice Books at each level which provide extensive practice as well as help in cementing the concepts learnt in the textbooks. The CDs provide animated lessons for better understanding of the concepts. These also provide interactive exercises at the end of each topic.